teenage house-help by her guardian, a Redeemed Christian Church God pastor, in Igando suburb of Lagos. 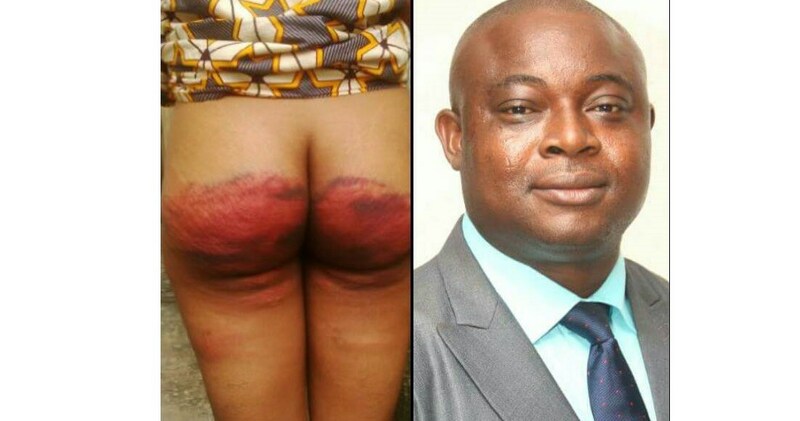 Bello Anny Lawrence identified the pastor as Clifford Ojugo of Reedeem Christian Church of God, Peace House, Idimu, who lives at No 9 Babatope Babatope Close Igando. 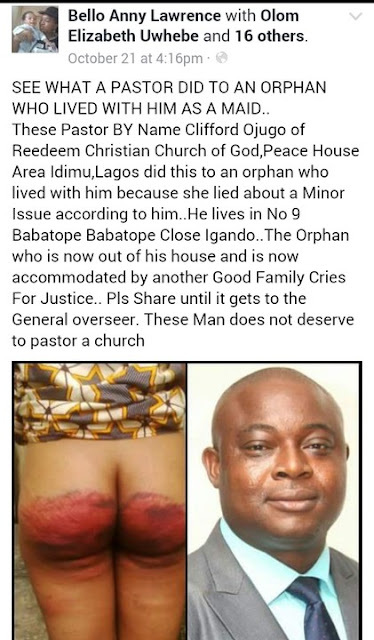 According to the concerned Facebook user, the house-help, an orphan was punished by the pastor for lying that she had done an errand she was yet to do. The house-help is now under the care of a concerned family in the neighbourhood. Bello Anny Lawrence and other neighbours have taken to social media demanding for justice on her behalf.